CBS will air another colorized I Love Lucy special on Friday, May 19th at 9PM ET featuring two episodes from 1955 with guest stars Van Johnson and Harpo Marx. CBS has announced its latest colorized I Love Lucy special, featuring two episodes of the iconic sitcom from 1955. It will air Sunday, May 22nd from 8-9PM ET. CBS will air an “I Love Lucy Superstar Special” featuring two newly colorized episodes of I Love Lucy on Sunday, May 17th. Included will be material not seen since its original broadcast on CBS 60 years ago. CBS will air two episodes of I Love Lucy in December, including the 1956 Christmas special once considered missing. 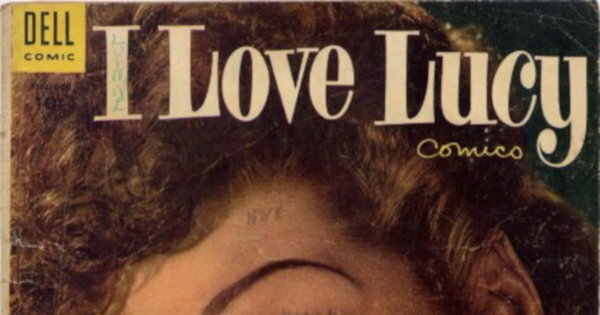 My review of the third issue of I Love Lucy Comics, published by Dell in 1954. In 1989, CBS recovered the December 1956 Christmas episode of I Love Lucy, which only aired once and was never seen again.